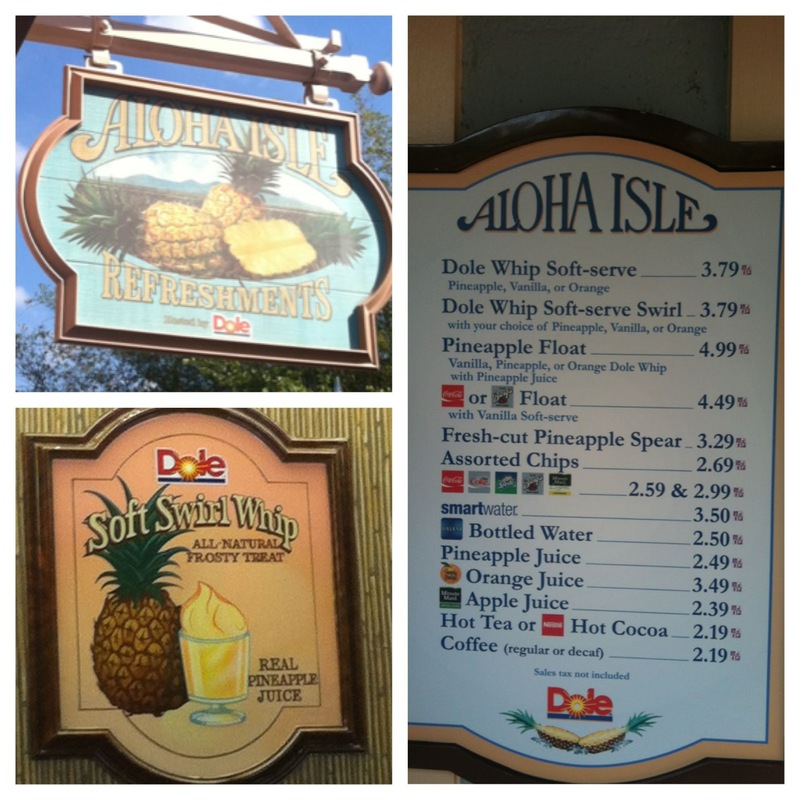 It's a Dole Whip Monday!! I can't exactly explain my obsession with Dole Whip in words. For those not familiar with Dole Whip, I am going to give you a quick lesson, then explain how you can make this treat at home using Dole Yonana machine. I am also giving away a Yonana machine to one lucky reader, so read on! Fast forward to the days when I started running, especially at runDisney. I have seen countless requests on message boards for Dole Whip's to be handed out at the finish line. I think this is a perfect idea. 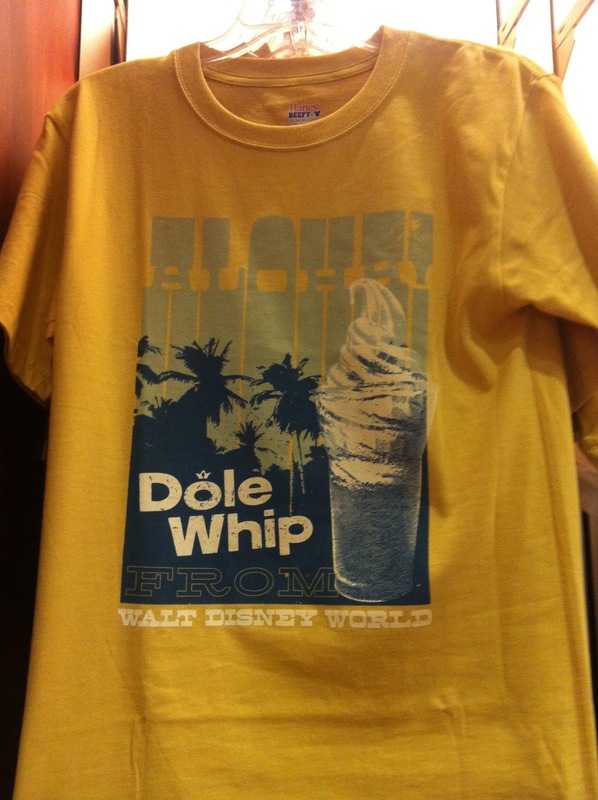 Besides with the running community, the Dole Whip phenomenon is pretty huge, to the point that Disney sells a Dole Whip souvenir tee-shirt. 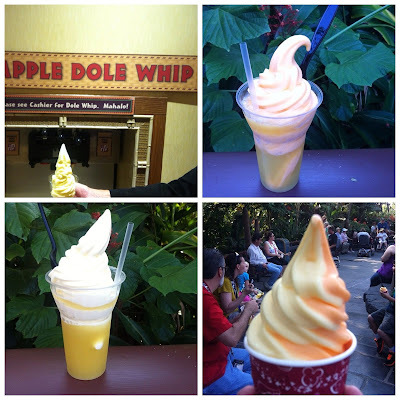 Forget the Turkey legs - I am a Dole Whip girl. I luckily live 65 miles from the Magic Kingdom and we are annual passholders - so when I get the cravings for a Dole Whip, I can make a Disney day trip out of it. Disney World has two locations with this yummy treat - at Aloha Isle in the Magic Kingdom which serves pineapple and orange whips with an option to make a float out of it and at Captain Cooks inside the Polynesian, which is self serve (however much you can fit into a bowl at a flat price). Other locations are in Disneyland and the Dole Plantation in Hawaii. 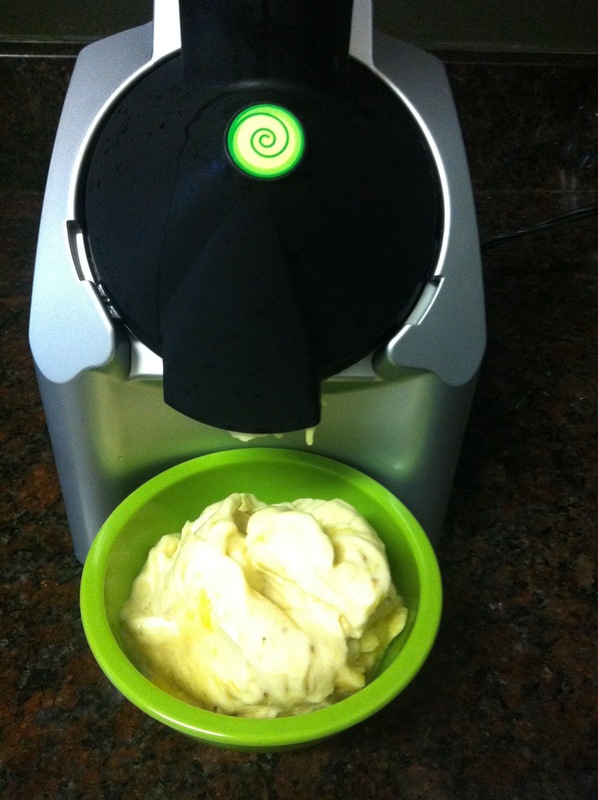 Now that you have familiarized yourself with the Dole Whip, it's time to know Yonana, my new favorite appliance. It makes ice cream healthy, using bananas and other fruits to come out with a perfect texture. Check out this video to learn how to make healthy ice cream. If you are a fan of ice cream, you will want this machine. Peel and freeze your banana in a freezer proof bag for 24 hours. Defrost for 5 minutes before you consume this treat and put the ingredients into your Yonana machine, Voila - instant Dole Whip. The texture isn't 100% but the flavor is. The banana is what gives it the creamy ice cream texture which you find at Disney but I learned that too much banana will take away from the pineapple flavor. I tried two different recipes, one with a half banana and one with a 1/4. The second recipe was more firm but had that dole whip pineapple taste to it.The first recipe was creamier but I feel some of the pineapple was gone. You can see the texture difference below. Want to win a Yonana machine of your own? Starting today through Monday November 12th, comment below with what you think will make the perfect yonana treat. You can use the Yonana website for recipe influence. Think outside of the box, you can make items other than ice cream with this machine. Along posting a comment with a recipe below, you can earn extra entries by doing what is listed below. Remember to leave a SEPARATE COMMENT on this post for each entry you complete. If you leave all of your entries in a single comment, that will only count as ONE entry. Tweet about this giveaway: Enter to #win a @dolenutrition @Yonanas Machine #Giveaway from @irun4wine: http://tinyurl.com/dolewhipyonana! If you already follow me, Dole or Yonana on Twitter and are fans of Dole or Yonana on Facebook, leave a comment stating this. Remember, each separate comment counts as an entry. Good luck! This Yonana is perfect for the fall season. Enjoy it as a mid-afternoon snack or surprise your family with it on Thanksgiving Day as a lighter dessert option, as opposed to traditional pumpkin pie. Add the banana, then the Nutella to the machine. Serve in a bowl topped with slivered almonds. Cranberry Sorbet: Ingredients- frozen or fresh cranberries, cranberry / apple juice, frozen bananas. I follow Dole on twitter!! I like Dole on Facebook!! I follow Yonanas on twitter! ...and, I like Yonanas on FB! I saw Mangos in the freezer isle the other day and wanted them...so I would go with a Mango sorbet. let it thaw for 7-10 minutes. I'm not creative enough to make my own recipe, I completely got this one from the Yonanas website! It's fine to use their recipes :) YUM. I made this and it is delicious. That Pumpkin Pie Yonana(sounds so good) I want to try. Banana Berry Boosting Blast - Bananas do first then layer alternately with blueberries, strawberries, blackberries and raspberries done after - So it's berry beautifully swirled! Yum! I like Dole on Facebook! I like Yonanas on Facebook! Following you on Twitter via @serene_streams! Following Dole Nutrition on Twitter via @serene_streams! Following Yonanas on Twitter too via @serene_streams! Thanks so much! A banana, mashed Medjool dates, 1/3 cup pumpkin and a dash of cinnamon! Perfect for fall! Hmm! would have never thought using dates in the yonana! Going to have to give this a try. I also like Dole on Facebook - thanks! This was the first yonana I made, aside from the plain banana one in the picture above. So yummy! I also like Dole Nutrition on Facebook. I've been dying to try out a Yonanas machine...seriously! Yum, we will have to try that out! I follow Yonanas on Twitter as well. I would make a strawberry banana shake! I also would see if it's possible to make some kind of creamsicle shake! There is and I made it! Freeze oranges, dash of vanilla and frozen banana. YUM. I would do something involving a banana and Trader Joe's cookie butter. I must have this!! I would love to get my hands on some of that famous cookie butter! I follow Dole on twitter. I like Dole on FB. I follow Yonanas on twitter. I like Yonanas on FB. A really great treat would be an ice cream sandwich made with gingersnap cookies and yonanas "ice cream". Yum!! I may have to do that with the pumpkin yonana recipe above. I follow yonanas on fb. 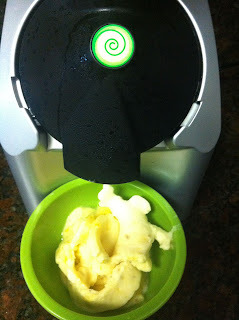 Tweeted about this giveaway: Enter to #win a @dolenutrition @Yonanas Machine #Giveaway from @irun4wine: http://tinyurl.com/dolewhipyonana! I saw that one too and thought it would be pretty amazing! That does sound delicious. I am going to have to try that one out. This recipe is inspired by the flavor combo that seems to be sweeping the foodie nation. I know I love it, and I want to make a yonana out of it! Place in bowl, stir in caramel sauce and chocolate chips. Top with Chocolate Ice Cream topping (hardens when served on cold dessert) and sea salt. Um yeah....you had me at salted caramel. I made this, it was delicious. Congrats on your Yonana Machine!! !